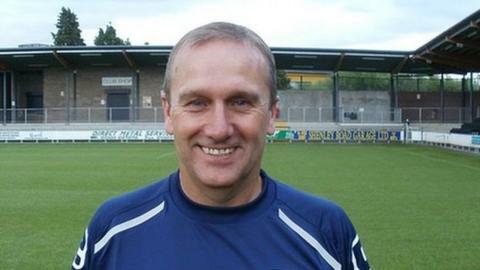 Dartford boss Tony Burman has conceded that some of his part-time players may leave the side at the end of the season because of work commitments. The Darts' part-time status has put pressure on training and travelling. And Burman said: "With the guys who are part-time and working, it was quite easy [this season] because they wanted to have a go at a higher league. "Next year, once they've had a go, their work commitments come into it and yes we might lose one or two for sure." The Blue Square Bet Premier newcomers have enjoyed an impressive start to their campaign this season, and currently lie fourth in the table. And despite the problems of working and playing regularly, Burman says his side have committed well to the new league. "At this moment in time, I believe in the players who we've signed," he said. "There were 13 of them from last year, and I think if you believe in them you'll get a good response." The Darts boss also said he had noticed the difference in quality since moving up from Blue Square Bet South. "We get a good workrate out of our players but it's up to me to bring the quality out," he said. "I think the players we have kept have got quality and that's why we're doing so well. "You look closer at the DVDs and the games. It's the quality of player you're up against and if you make a mistake you're going to get punished. "When we've gone up, the players know what they want to do, and know where you want them to be. They're a little bit more, and I don't mean this in a nasty way, intelligent as footballers."